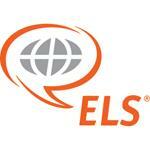 The number 1 resource for ESL students around the world to research and locate English as a Second Language programs. Our database contains over 1,000 ESL schools from all corners of the globe so that they are accessible in one place. The ESL Directory now allows you to register your own FREE student account so that you can contact and manage your school contacts, plus also keep up-to-date with all the latest news and information from the ESL Directory. For more information about our student account feature, please visit the Student Zone. For ESL School Administrators, the ESL Directory is the premier location online to list your English program. Registration is FREE and once approved your program will be online and students will be able to contact you directly. For further information about the features we offer, please see our school administrators home page. Let us find an ESL School for you. Simply use our advanced search page to find the right ESL program for you. The ESL Directory is not just ideal for students looking to find an English Language School, but also a great resource for schools to list their programs online. Want to stand out in the crowd? While primary registration is free, we offer several advanced packages that will enable you to increase traffic to your profile. Visit our advertising section for more information on featured packages. We, here at ESL Directory, work with students learning English on a day-to-day basis and know that the process can be confusing! That is why we designed the ESL Information and Resources section. Now, you can find helpful up-to-date information and resources to guide you through your journey studying English.